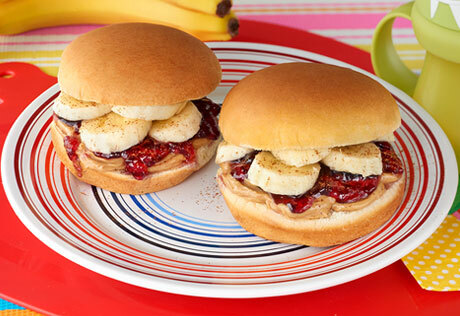 Spread the bottom half of each bun with 1 tablespoon peanut butter. Top with the jelly and the banana slices. Sprinkle with the cinnamon.